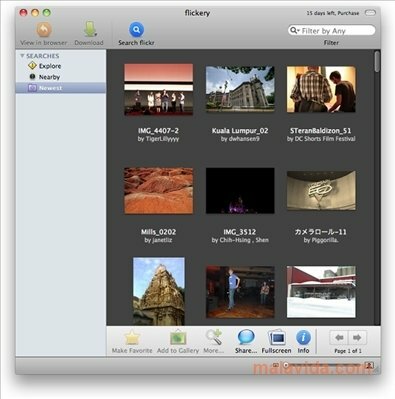 flickery is an elegant desktop client that offers quick and simple access to all the functions of Flickr, the well-known photo site. If you have a Flickr account, the possibilities offered by this application increase drastically. 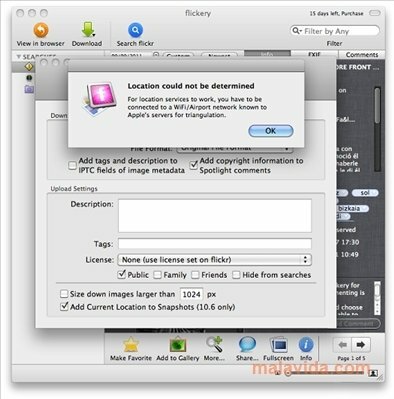 If you are usually going to work with flickery it is convenient for you to authorize the application to be able to work with your Flickr account. Thus, you will be able to access all the your account's contents, load, edit or remove photos or videos and get to meet other members by commenting or mark their images. - Share your photos with the rest of Internet users through Flickr. 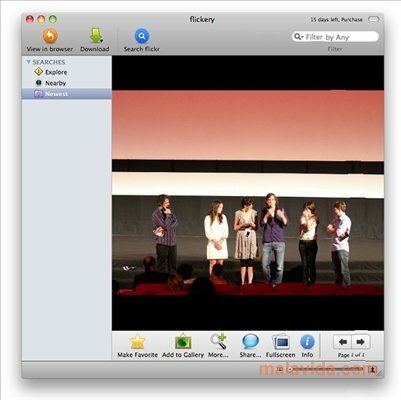 - Edit or delete the images whenever you want. - Organize your favorite images. - Define the location where each photo was taken, thanks to its integration with Google Maps. - Launch image searches in the aforementioned website. 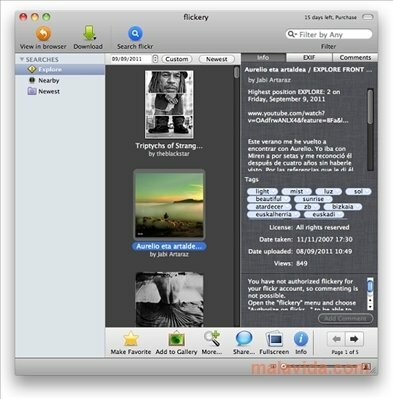 - Enjoy the HD visualization of thousands of photos taken by users. Access the best user community dedicated to photography from your desktop, thanks to flickery.